Emily provides professional advice on how to expertly organize your kitchen space to maximize efficiency and enhance practical utility. 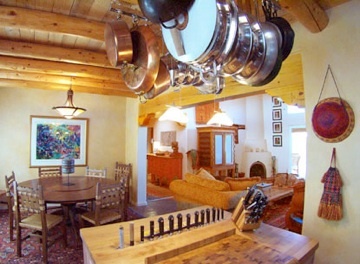 ~ Hang pots & pans from a pot rack attached to the ceiling. ~ Use a utensil container to stash a whisk, slotted spatula, wooden spoon, ladle, etc. ~ Use a kitchen drawer divider to store flatware, serving utensils and often-used gadgets. 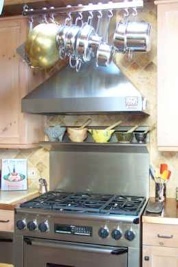 ~ Put knives in the safety of a knife block on the kitchen counter. ~ Small appliances, bakeware and glasses should each occupy space of its own.